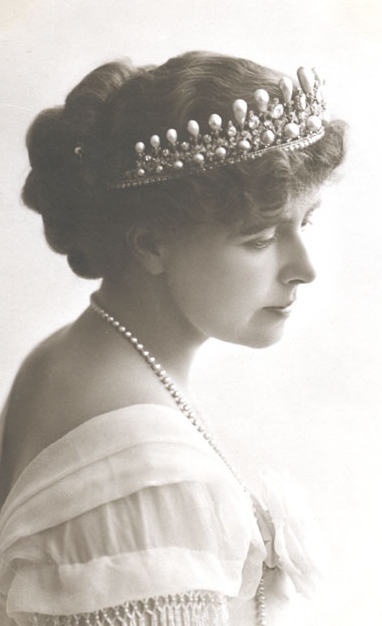 You may not be particularly familiar with the name of Oscar Massin, but if you're a royal tiara lover, I bet you've gasped over at least one of his tiaras. His most famous tiara design is likely that of the diamond tiara that belonged to the Duchess of Fife, but he's also responsible for the grand Mellerio ruby tiara owned by the Dutch royal family. 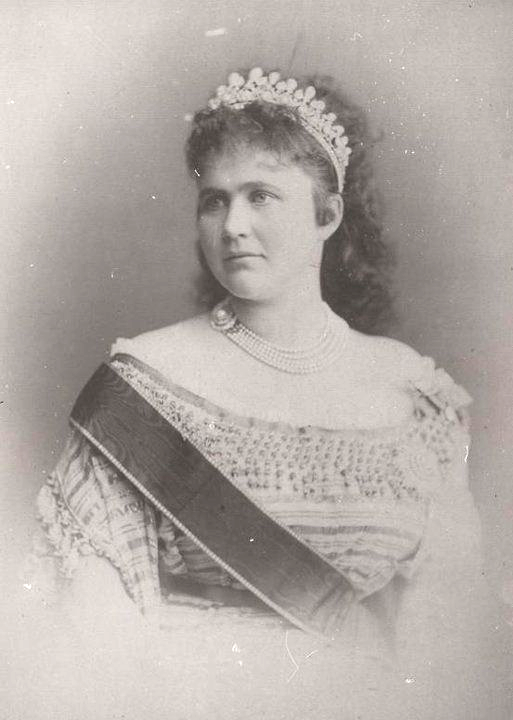 Today's sparkler, a diamond and pearl tiara worn by two generations of Romanian queens, is also attributed to Massin. 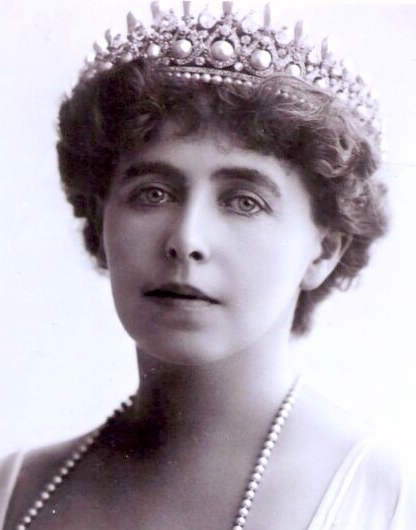 The original royal recipient of the piece was Queen Elisabeth of Romania, who was born a princess of Wied. At first, Elisabeth was proposed as a possible bride for the future King Edward VII of the United Kingdom, but he chose Princess Alexandra of Denmark instead. Elisabeth had to turn elsewhere for a kingly husband. 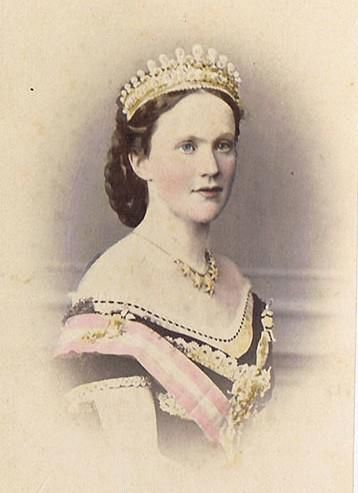 In 1869, she caught the eye of a brand-new king shopping around Europe for a royal bride: Carol I of Romania. He’d been recently elected as the country’s king, and he needed a consort. A German princess like Elisabeth fit the bill, and the two were married the same year. 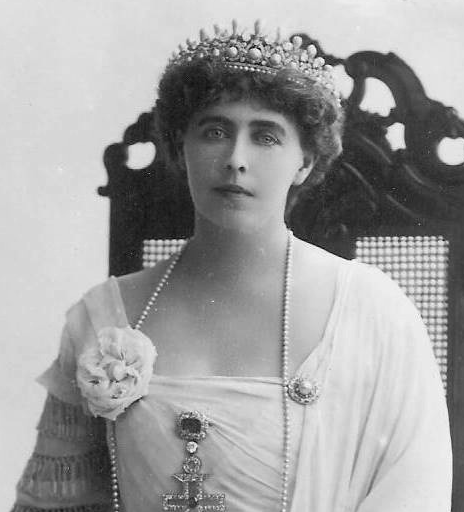 The tiara, which featured a series of sixteen pearls set upright on a complex base made of diamonds and pearls, was given to the new Queen Elisabeth by a group of aristocratic Romanian women upon her arrival in Bucharest. If only her marriage had been as successful as this tiara! Elisabeth and Carol were not well-matched, and their only child, Maria, died at the age of three. Elisabeth shifted her energy to her other passion, literature, producing numerous works under the name Carmen Sylva. In her later years, she rarely wore tiaras at all. The country’s next queen, however, loved few things better than a dramatic diadem. Princess Marie of Edinburgh, a granddaughter of Queen Victoria, had married Elisabeth’s nephew-in-law, Ferdinand, in 1893. 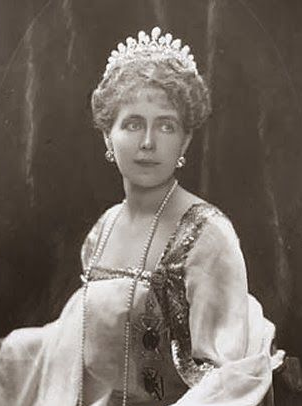 She inherited the tiara from Elisabeth and apparently liked it quite a bit, as she was photographed in the piece multiple times. 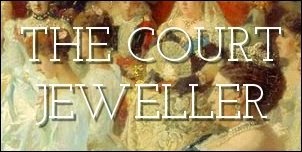 But when the political situation in Romania became precarious during World War I, the tiara, along with an incredible number of treasures and valuables from the country, were sent to Moscow for safekeeping. Marie's mother, Maria Alexandrovna, had been born a Russian grand duchess, so Russia may have seemed like a familiar yet remote refuge for precious possessions. Other royals bet on Russia as a safehouse for their jewels as well, including Victoria of Battenberg, sister of Empress Alexandra. And that’s where things went sour. The Romanians invaded territory held by Russia, the Soviets cut off all diplomatic ties, and the treasures were stranded. Some of the valuables have been returned over time, but many pieces, including the Massin tiara, were never repatriated to Romania. Unfortunately, I think we can count this as yet another tiara lost to history.